Super Eagles and Sivasspor of Turkey left wing back, Elderson Echiejile has reiterated his confidence in the current Eagles team at the Russia 2018 World Cup, which draws hold on December 1. The 29-year-old defender spoke to brila.net of his optimism that the Super Eagles would be ready to face any team come Russia 2018.The former Sporting Gijon defender spoke with full confidence ahead the fast-approaching World Cup draw, saying, “We are not afraid of anyone, any team. 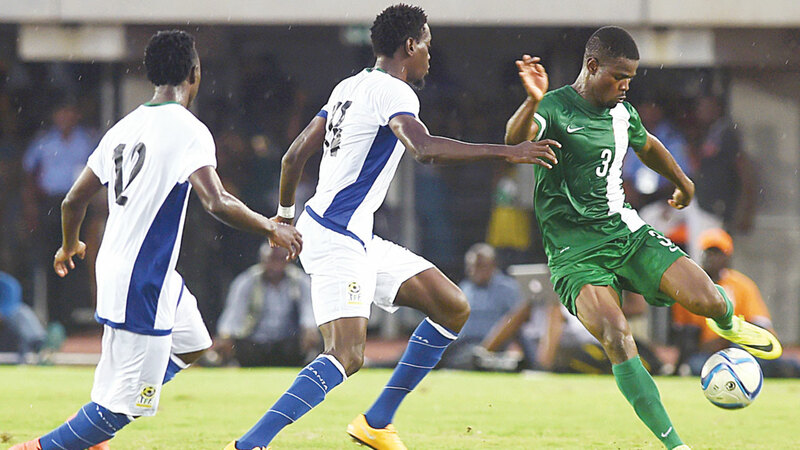 “We just want to keep our preparation in top form, play quality friendly games and we will be ready for anyone in our group,” Elderson said.Echiejile, who has represented top European football clubs in France, Spain, Portugal, Belgium and now Turkey, said he is not wary of facing any team at the World Cup, insisting that the Super Eagles will soar against any team drawn against them for the FIFA Mundial in Russia. “This could be our time. Right now we have things going well with the team, so we are not afraid of anyone,” Echiejile said. On the team’s motivation, Echiejile said the stunning comeback win against Argentina is just a tip of what the Super Eagles will do at the World Cup’. “The win is enough motivation for everyone in the team that we can actually dispose any team at the World Cup without fear or jitters,” he added. Echiejile sat out of the dead rubber World Cup qualifier against Algeria in Constantine and the friendly game against the Le Albiceleste of Argentina alongside other first team regulars, Ogenyi Onazi, Odion Ighalo, Moses Simon and Victor Moses due to injuries. The on-loan AS-Monaco man is, however, back to full fitness and was available for selection in Sivasspor last game against Fernabache in the Turkish Super Lig.